Beyu brings to you an ultimate mattifying foundation that makes your skin feel as soft as cashmere! It includes light reflecting pigments for a fresh and healthy looking skin. Perfectly matte, powdery finish long-lasting. Prevents the skin from quickly becoming greasy. For all skin types especially oily and combination skin. 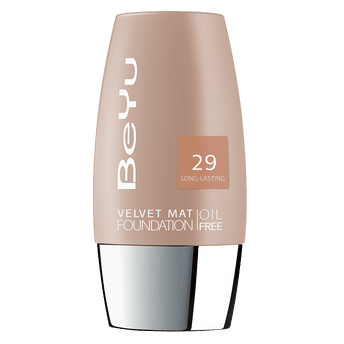 Alternatively, you can also find many more products from the BeYu Velvet Mat Foundation range.